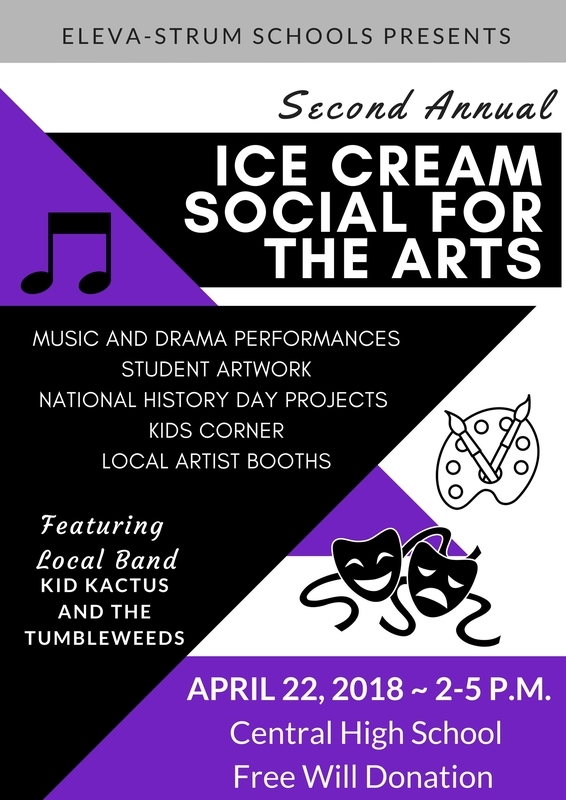 Eleva-Strum Schools presents the second annual Ice Cream Social for the Arts featuring the music, drama, and art departments, Dance Team, Railroad Club, and National History Day projects. 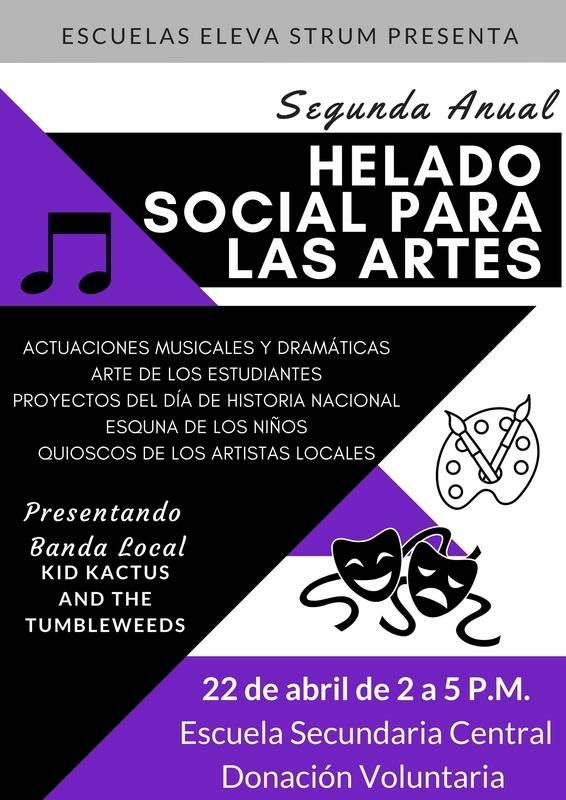 This event will feature student artwork, music performances, and drama performances along with free-will donation ice cream and desserts. 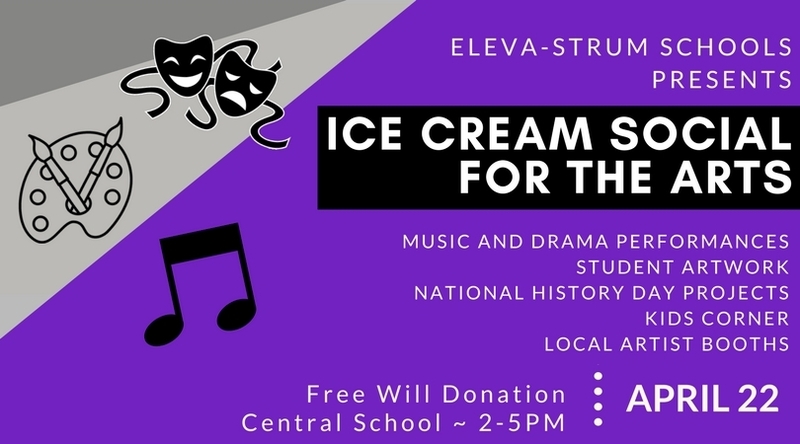 Come support community art students and enjoy a delicious bowl of ice cream on April 22nd from 2-5 P.M. at the Eleva-Strum Central School.